About fifty percent of the dogs who arrived at the tiny, outdoor San Jacinto County animal shelter in Texas last year were euthanized. But Deputy Jason Snipes, the county’s newly hired animal control officer, told Watchdog Mary he's trying to change that. "I’m always looking to improve," he said. In order to do that Snipes needs help: A group of critical volunteers to assist him, and the shelter, which is essentially a concrete slab with a roof, but no walls, needs major renovations or replacement. Snipes is the only animal control officer for the entire county, which stretches about 710 square miles and is located outside Houston. "I have a constant list of calls," Snipes said. "I’m not only dealing with the shelter, but also animal complaints. I pick up stray dogs. I also deal with livestock. I’m one man doing everything." Every single dog he picks up gets brought to the shelter. It's got six kennels to hold an entire county's worth of stray and unwanted dogs. "I've had up to 25 dogs in there at one time," Snipes said. "If I pick up three or four dogs from one location, I put them in a larger cage together. If I have a mamma dog with puppies they go in one cage together." The limited kennel space means as the shelter gets full, the clock starts ticking on the lives of the animals inside. Documents obtained by Watchdog Mary reveal in 2018, of the 210 dogs picked up by San Jacinto County animal control, 112 were euthanized. The reports from this year show some improvement. In February, of the 49 dogs picked up, eleven were euthanized. 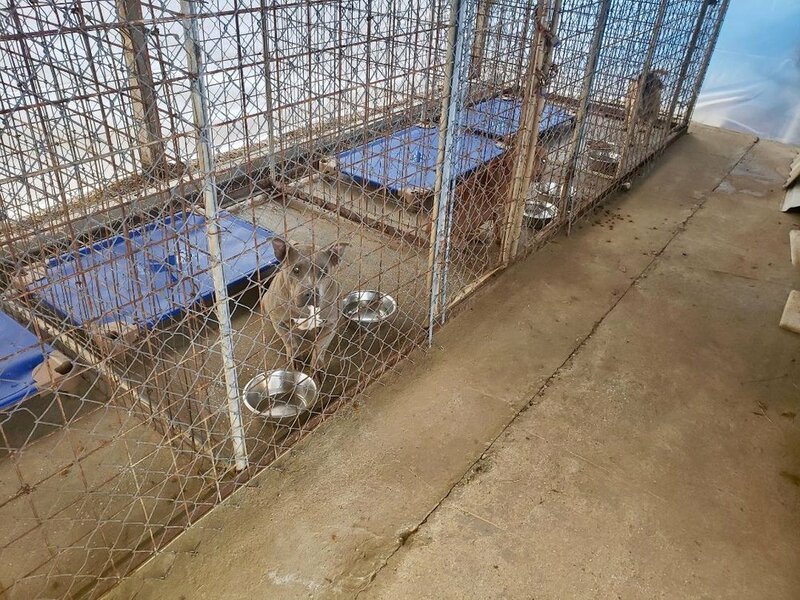 Snipes said so far in 2019 about ten dogs were put down because the shelter was full. He hopes euthanasia due to space reasons can be avoided in the future. "I hit the ground running and I’ve started building a relationship with other shelters and rescues to get the dogs out of my facility," Snipes said. The county's reports don't show the numbers of dogs transferred to rescue groups. Snipes there is no data field for that in the current computer system. Any dog that is adopted or transferred to a rescue is counted under the category of adoption. Dogs that come into the shelter are not advertised on the county's website and there’s not a dedicated page for animal control. There's no pictures or postings saying, "Did anyone lose this Lab mix?" Or, "Does anyone want to adopt or rescue this dog?" The social media pages where dogs in need are currently posted are private Facebook groups that people have to join to see posts. Many animal experts warn if dogs don't have decent visibility online owners, adopters, and rescues don't know dogs need to be reclaimed or helped. When Watchdog Mary asked Snipes about this he said needs volunteer assistance. "I'm not real good not the social media," he said. "I'd love to expand it, take pictures of the dogs and post them. I don't have time to maintain it. I will take any and all help I can get." Ideally Snipes needs volunteers who live near San Jacinto County to come to the shelter and take pictures of the pooches. Then the information can be sent to volunteers anywhere in the world who can upload the information to websites and social media. Online posts have saved the lives of countless dogs across the world. Improving the current shelter or building a new facility is a big item on the sheriff department's wishlist. "We have a kennel, not that great of a kennel, it suffices for now," Captain Joe Schultea, Jr., operations bureau commander for the sheriff's department told Watchdog Mary. "We need a new shelter. We are working with our county attorney on fundraising right now. It's a work in progress." Snipes tries to keep the current shelter temperate for the dogs. "The cages are not in direct sunlight. In the summer it doesn’t get excruciatingly hot," Snipes said. "In the winter I wrap the entire shelter in plastic and brought in heat lamps. On the coldest days it hasn’t been toasty warm, but I’ve been able to break the chill." A new or renovated shelter with more kennels would allow the county to handle more animals. Snipes said he's doing the best he can with the situation he's working with. "Generally the longest I get away with keeping any dogs in the shelter is two to three weeks," he said. "Luckily this year I’ve been able to build good relationships with rescues in the area and I’d say between 80-90% of the dogs get adopted." If anyone is interested in volunteering to help care and photograph dogs at the shelter, helping with online posting, fundraising or renovating the shelter contact you can reach Snipes by emailing: animal.control@co.san-jacinto.tx.us or by calling: 936-524-3891. Snipes also wants to hear from rescue groups who can help save dogs from the facility.